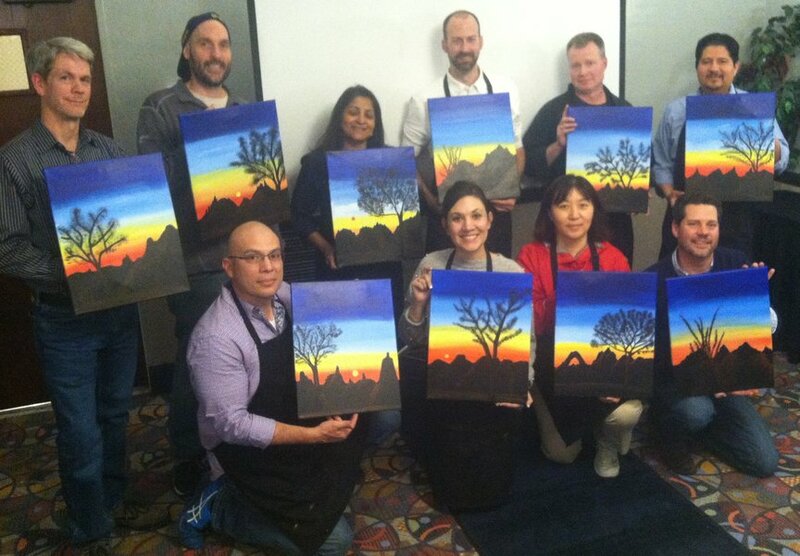 Another successful class painting the Century Plant with a vibrant sunset sky. Lovin' life, and painting for fun. This couple is enjoying their Sedona vacation. 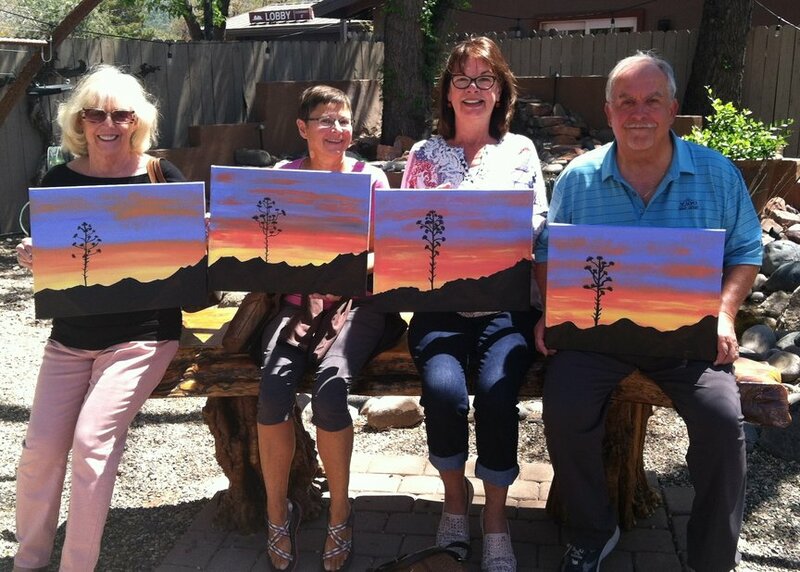 This corporate group from Tucson was in Sedona for business meetings and team building. 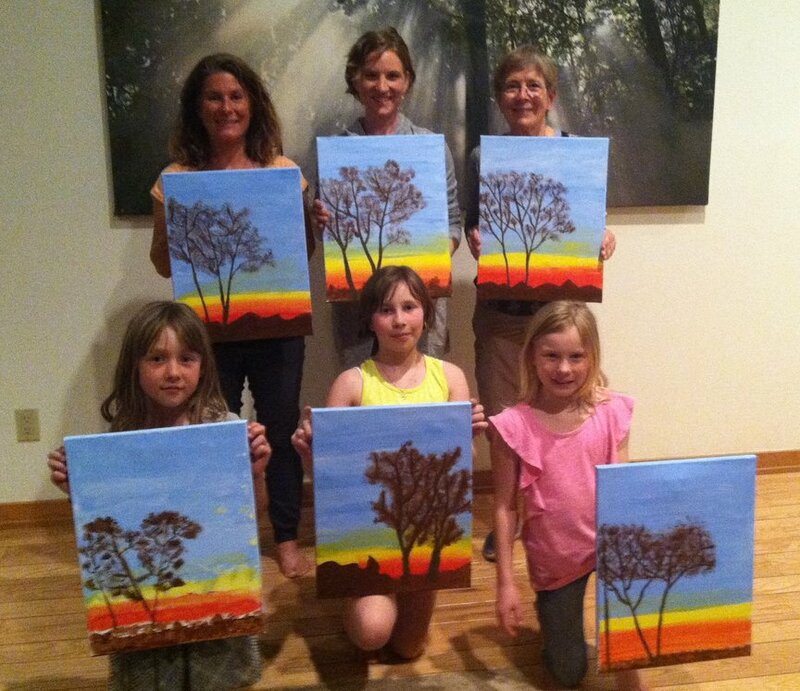 They were able to fit in an evening of creativity and fun as well. These gals wanted to combine two different paintings today. 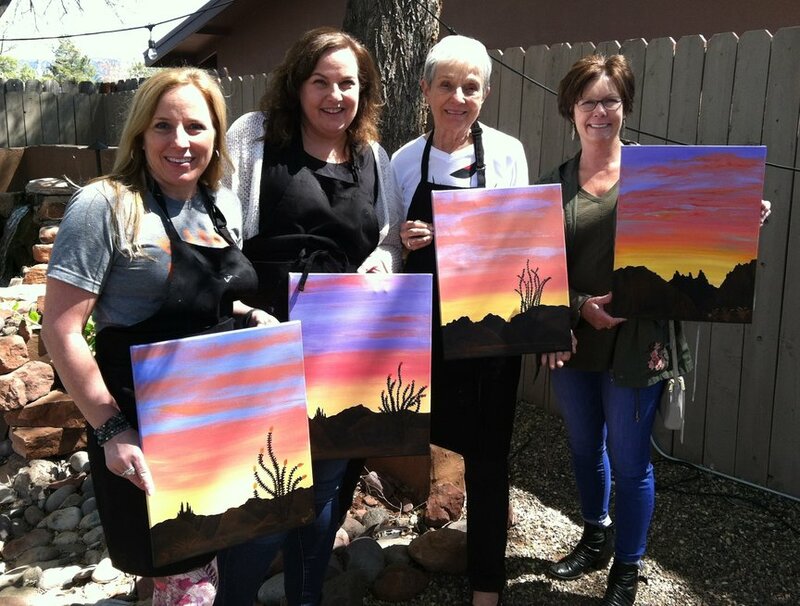 We painted the skies from one, and added the mountains and Ocotillo from another. Great results! 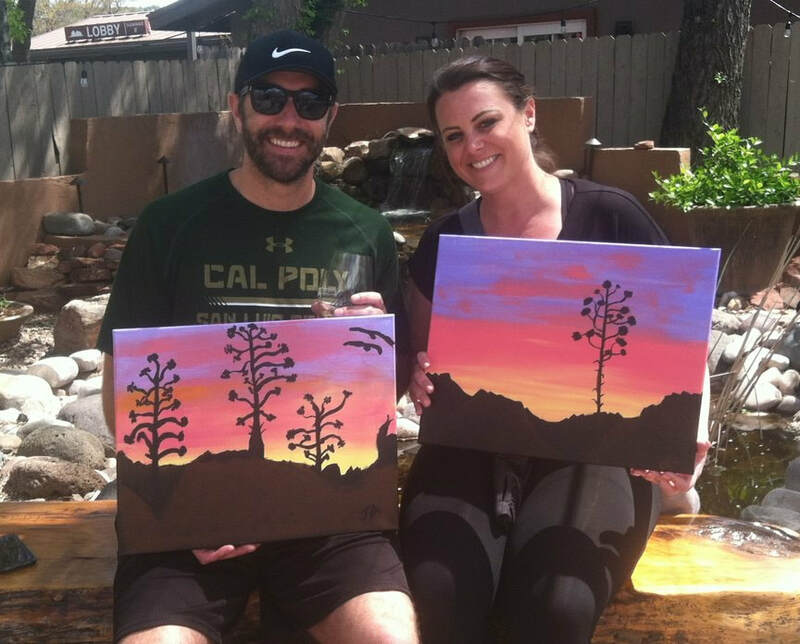 While enjoying a vacation in Sedona, this couple decided to revisit their artistic talents. 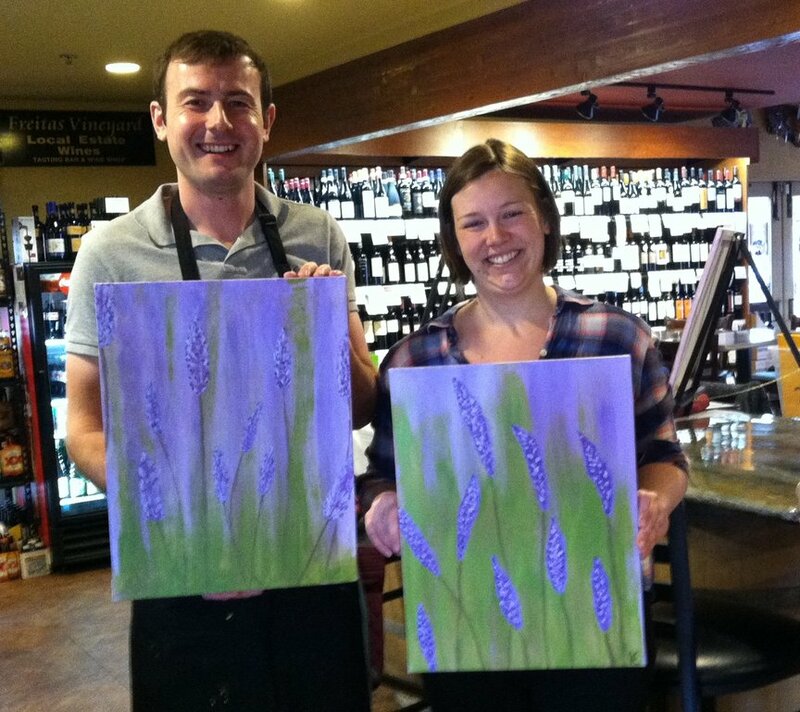 They hadn't painted since their school days, but the creativity was still there just waiting to be expressed. Good job! 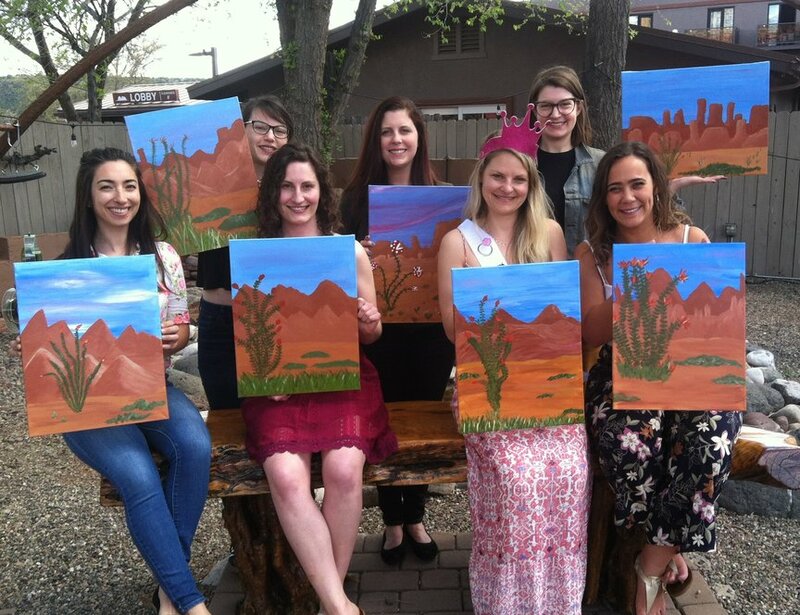 These girlfriends from around the country got together for a long weekend in Sedona to celebrate the up-coming marriage of Kaitlin. Good times and good memories. Lots of creative expression with this family. 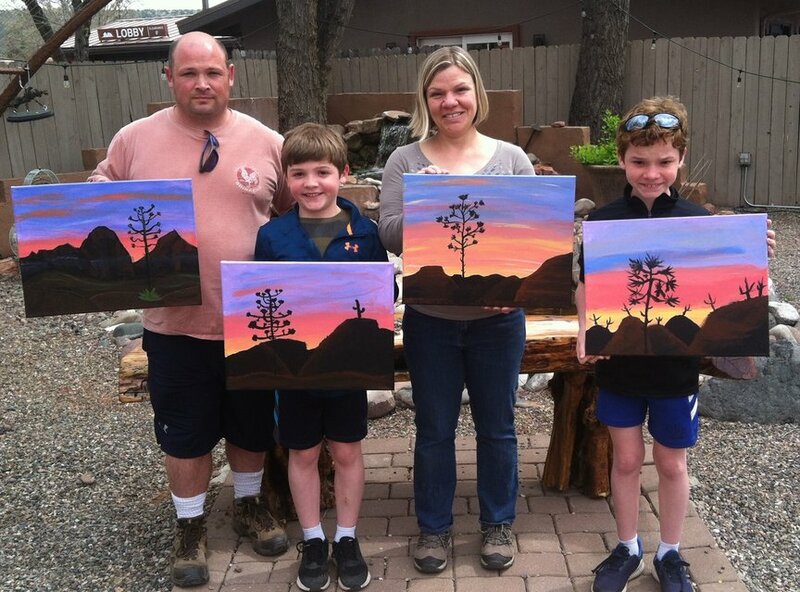 They are visiting Sedona for the first time, and wanted to create a memory of the landscapes here to take home with them. Good job! Family vacation with 3 generations getting together in Sedona. Paint Along For Fun was invited to the vacation house for Sunday evening's creative entertainment.